Is Bodybuilding for you? Do you have what it takes? This is not an easy question to answer, but we’re going to do our best to lay it all out there for you to come to your own conclusion, and for the sake of honesty we’ve been pretty brutal here. The first thing to mention is that there are many types of bodybuilder and if you’re thinking of competing that is also reflected in the growing number of categories available. Anyone can be a bodybuilder; though some will have the natural ability to grow muscle faster than others, genetics shouldn’t stop you. Bodybuilding in many ways is more about the mind than the body. But we’ll explain that as we go. The point being that regardless of age, gender and current body type, anyone who really wants it, can be a bodybuilder. The second thing to remember – and this is a vital one – is that there is no such thing as a ‘casual body builder’. This is simply not a sport you can take to half assed. You can’t dip in and out. You’re either in or you’re out. Argue it all you like. For us, it’s that simple. So, is Bodybuilding for you? In terms of figuring out if bodybuilding is for you, you first need to ask yourself what you want. What are you looking to achieve in the long run and what does that look like to you? This sport is about goals. Setting them, attacking them and beating them. Then setting more. You need to know what it is you want before you commit else you will fail. Do you want to compete on stage? Do you want to become a muscle model? Do you want to power-lift? Do you want to win the CrossFit games? Nah we’re just kidding on that last one… had you going though didn’t we? Anyway regardless of what your goal is, write it down and be specific, you need to know what you want in order to stand any chance of getting it. Now you have some serious considerations and questions that you need to ask yourself. Do I have the time and energy to commit to this? Most people find excuses to simply miss the gym or fob off a yoga class they booked and they always blame it on not having time, or some other procrastination issue. You need to clear yourself of excuses early on and seriously ask yourself, “is there any reason I can’t dedicate myself to 60-90 minutes of training at least 5 days per week”? This isn’t even a high example. Many of the top athletes train almost every day, often twice per day splitting cardio and weight training or splitting muscle groups in a single day. Clear your diary, re-hash your schedule and put all the excuses as far to the side as possible. Do I have the strength of character to resist petty peer pressure? Most regular people (non-lifters) simply don’t understand the lifestyle choice of the bodybuilder. They will dig at you daily, push a chocolate bar your way, tempt you to skip training for a movie or a drink. They’ll complain, they’ll call you boring and tell you it’s not worth it. Belittle your efforts. Your food choices when you do go to a restaurant will be criticized relentlessly and your choice of water over beer taunted all night long. So you need to ask yourself now, are you strong enough? Do you want what you think you want enough to deal with all that in pursuit of it? Let’s leave the peer pressure to the side for a second and back track. Do you even have your own will power? However hard you train in the gym, diet and overall proper nutritional choices are vital to a bodybuilder. When it’s just you all alone at home and the hunger pangs hit, do you reach for that toffee filled Muller rice in the fridge to stop the cravings? Or can you look away and knock down a tin of tuna chunks and a glass of water instead? After a long day can you summon the energy to cook a proper meal and do you next day’s meal prep instead of hitting the drive-thru for some greasy fries? It’s all down to you. No one is going to hold your hand 24/7. Are you dedicated enough to your ideal physique? We’re going to end on this one but it’s a big one. It’s the one that if you can’t get right, you just can’t possibly be a bodybuilder. Building muscle hurts. Not just to start with, it hurts every day and the days that follow. Something you need to understand is that there is no way around this. If it doesn’t hurt then it isn’t changing your body, it’s not tearing muscle fibres and you won’t grow. You can eat as clean as a whistle every day and take all of your supplements bang on time but if you can’t train with the required intensity then it won’t matter. You need to learn to enjoy your time in the gym, enjoy pushing your body to its absolute limits. Personally we feel it’s like therapy for us, stress relief. Quality time one on one with yourself or your trusted lifting squad. If you don’t enjoy the gym, if you can’t find the satisfaction through the soreness and the walking like Bambi on ice after leg day, then bodybuilding isn’t for you. 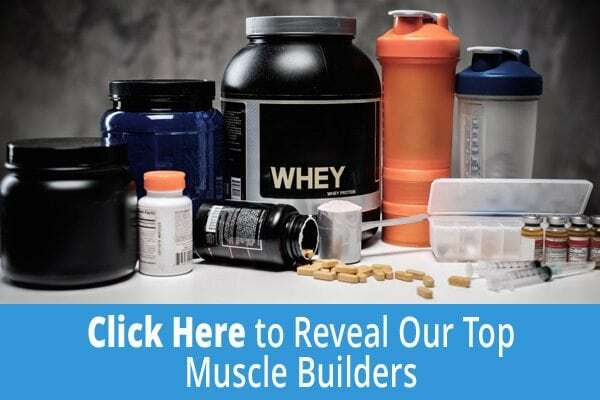 So, do you think you have what it takes to be a bodybuilder?